Plain boring vanilla, I don’t think so…. At Baskin-Robbins boasting too many flavors to choose from or at gelato stands with their beautiful displays of exotic flavors, I’m the person who orders vanilla. Which to some people is just plain, not very exciting, vanilla. Call me weird, unadventurous or whatever you want, I don’t care. I just love the flavor vanilla. When I was a little kid I made snow ice cream with vanilla extract. Collect a couple of scoops of non-yellow snow, a little sugar then pour vanilla over the top and voilà: instant vanilla ice cream. Back then if I’d known vanilla was the second most expensive spice in the world after saffron I’d probably have been a little more frugal with my pour. Vanilla has a complex history and where and how it’s produced is what makes it so special. Basically, without going into too much detail about its history, it goes something like this: The Totonaco Indians of Mexico were the first keepers of the secrets of vanilla. When the Aztecs conquered them, they demanded the Totonaca surrender their rare vanilla pods. 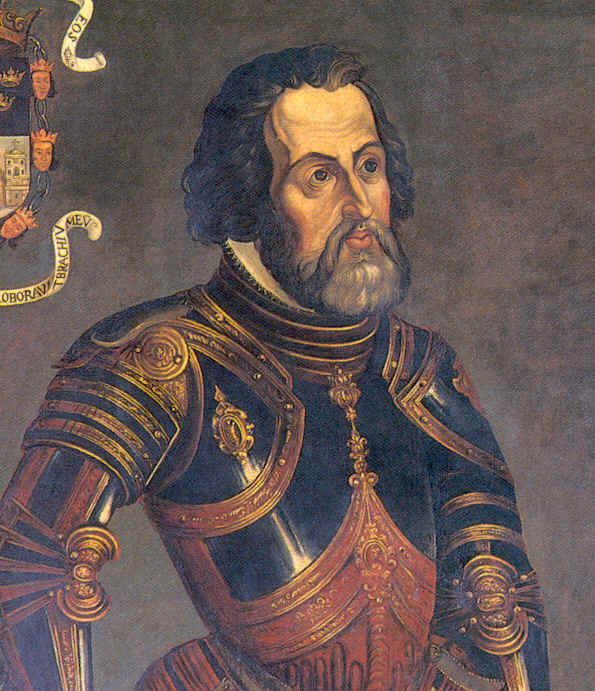 Then the Spaniard Hernando Cortés conquered the Aztecs. Cortés returned to Spain with some of the precious vanilla beans and the recipe to combine it with cacao to make the delicious drink “xocoatl,” which is where the word “chocolate” comes from. The word “vanilla” comes from the Spanish word “vainilla” which means little sheath, referring to the pod’s long thin shape. Xocoatl was so rare and expensive that it was once only enjoyed by the nobility and the very rich. 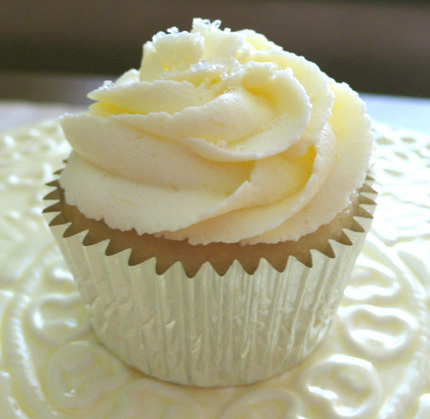 Vanilla starts with the fruit of a celadon colored orchid vine, native only to Mexican tropical forests. The problem was that this orchid, in order to produce the vanilla pod (beans), it needed to be pollinated by Melipona bees or a certain type of Hummingbird species only found in Mexico. The second problem to commercial growers was that when the orchid flower opened only for a very short time, less than a day, the flower needed pollination. If it didn’t get pollinated, the flower would fall off and not develop into a pod. It wasn’t until “hand pollination” of the flowers in the 19th century was developed that vanilla could be successfully grown commercially. 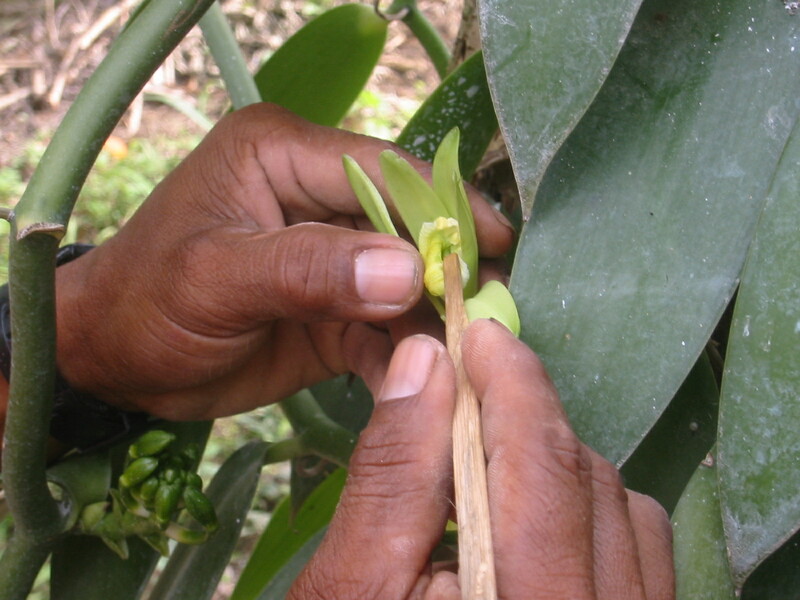 To make vanilla, the pods or beans are hand picked when they’re green and not quite ripe. The beans are first plunged into hot water and then the drying and sweating process begins. The beans are then dried in the sun during the day and then wrapped in blankets at night so they sweat. This process can last anywhere from 2 to 6 months for the beans to become dark brown and develop a white crystalline frost on the outside called vanillin. The beans are then aged for up to two years to bring out their full wonderful flavor. Today, vanilla beans are grown only in four regions of the world. Each region produces beans with distinctive characteristics. Today, about 80% of the world’s vanilla comes from the islands of Madagascar in the Indian Ocean where the plants were first introduced around 1840. These beans have a rich sweet flavor. Indonesia is the second largest producer of vanilla, with a vanilla that has a woody flavor. Mexico now produces only a small percentage of the harvest even though some say its smooth, creamy flavor is the best. 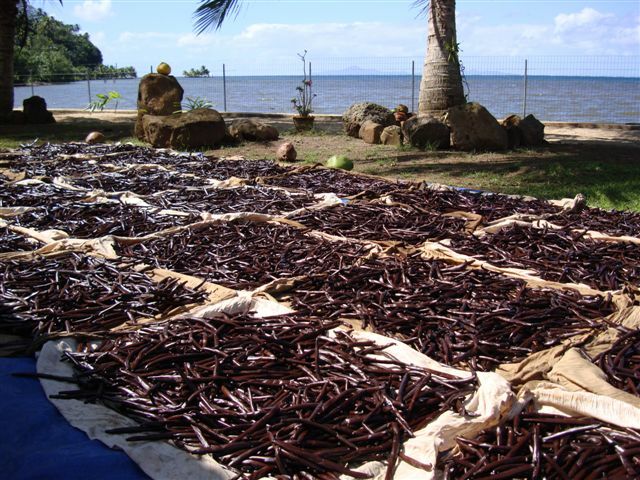 The last of the four vanilla producing regions is Tahiti. 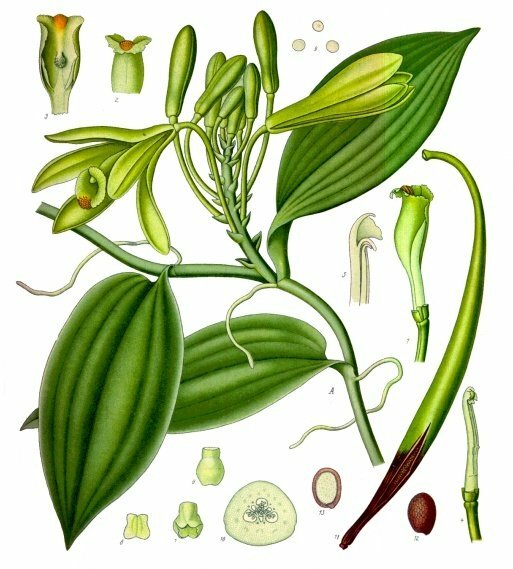 Tahitian vanilla, grown from a different genus of vanilla orchid, is flowery and fruity and used mostly for making perfumes. When we bake at home we use vanilla extract, which is made by steeping the vanilla beans in an alcohol and water solution for several months. 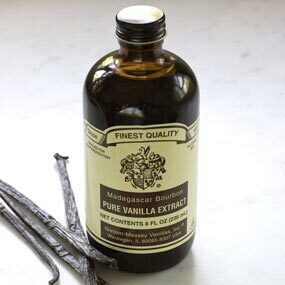 When buying vanilla extract make sure it is labeled “pure.” The imitation vanilla extracts are made with synthetic vanilla (from glycoside found in the sapwood of certain conifers or from coal extracts) and they leave a bitter aftertaste. Also when traveling to Mexico only buy vanilla from a reputable supplier because some manufacturers add coumarin, which is banned by the FDA because it can cause liver and kidney damage. Next time you’re at the store buying pure vanilla, thank those four small countries for making such a delicious and not so boring flavor for all of us to enjoy.